DARPA's Materials Architectures and Characterization for Hypersonics (MACH) program seeks new materials and designs for cooling the hot leading edges of hypersonic vehicles traveling more than five times the speed of sound. 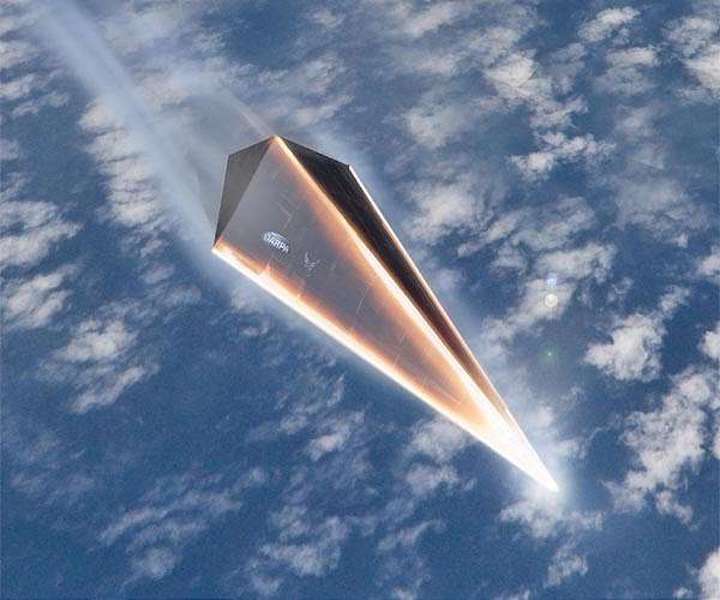 Hypersonic vehicles fly through the atmosphere at incredibly high speeds, creating intense friction with the surrounding air as they travel at Mach 5 or above - five times faster than sound travels. Developing structures that can withstand furnace-like temperatures at such high speeds is a technical challenge, especially for leading edges that bear the brunt of the heat. To address this thermal challenge, DARPA recently announced its Materials Architectures and Characterization for Hypersonics (MACH) program. The MACH program seeks to develop and demonstrate new design and material solutions for sharp, shape-stable, cooled leading edges for hypersonic vehicles. "For decades people have studied cooling the hot leading edges of hypersonic vehicles but haven't been able to demonstrate practical concepts in flight," said Bill Carter, program manager in DARPA's Defense Sciences Office. "The key is developing scalable materials architectures that enable mass transport to spread and reject heat. In recent years we've seen advances in thermal engineering and manufacturing that could enable the design and fabrication of very complex architectures not possible in the past. If successful, we could see a breakthrough in mitigating aerothermal effects at the leading edge that would enhance hypersonic performance." The MACH program will comprise two technical areas. The first area aims to develop and mature fully integrated passive thermal management system to cool leading edges based on scalable net-shape manufacturing and advanced thermal design. The second technical area will focus on next-generation hypersonic materials research, applying modern high-fidelity computation capabilities to develop new passive and active thermal management concepts, coatings and materials for future cooled hypersonic leading edge applications. Both technical areas will be described in a Broad Agency Announcement solicitation expected in mid-January 2019 on DARPA's FedBizOpps page here.